Another small finish! 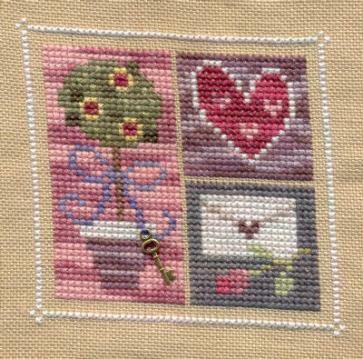 I finished Lizzie Kate's Feb. Block. I ordered March and April today from Elegant Stitch. They're fun little designs. Not much to report. Jake is sick again. The poor thing. Hopefully he's feeling better by Saturday when I go to my stitch-in. I hate to leave him if he's sick! !